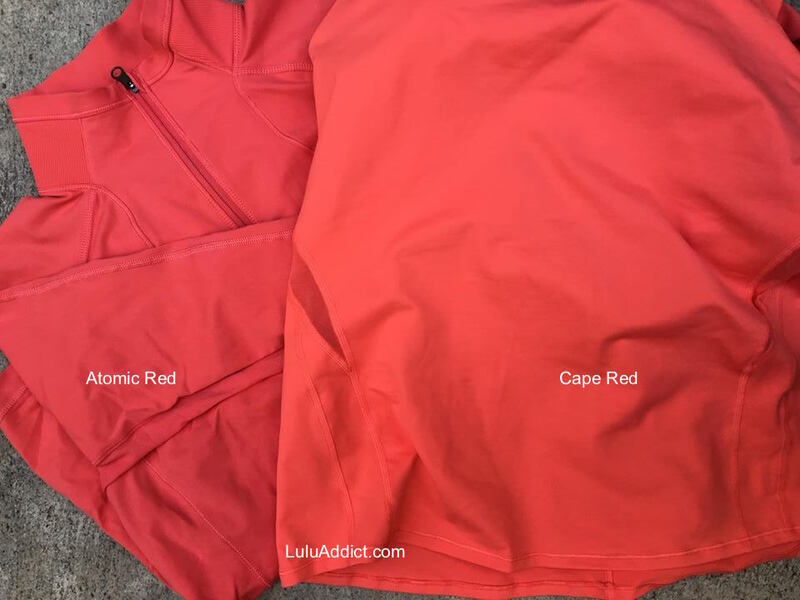 Cape Red vs. Atomic Red in indirect outdoor light. Both of these tops are luxtreme. 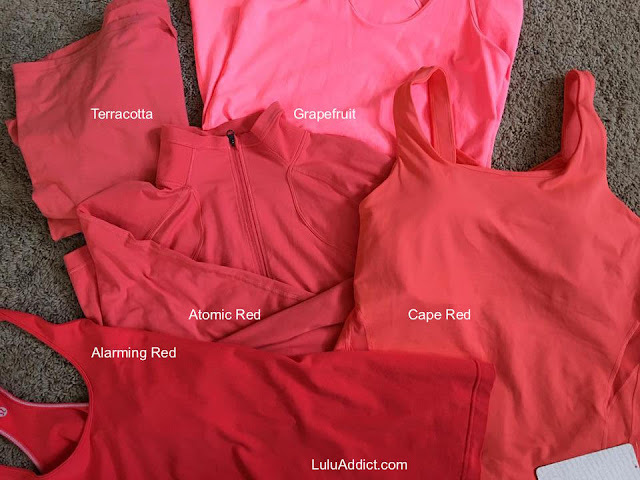 Cape Red with some other oranges - Atomic Red, Alarming Red, Terracotta (one of my oldest pieces from ~2007/2008), and Grapefruit.